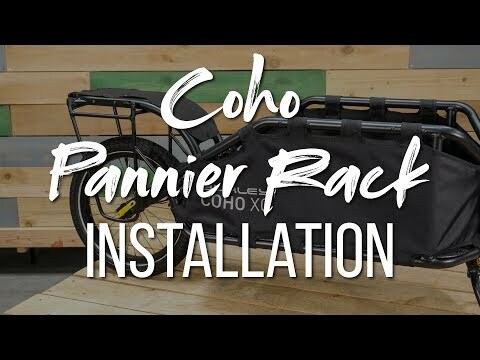 Load even more gear on your Coho XC trailer with this pannier rack. Just like on a touring bike, adding the pannier rack on the rear wheel of the trailer allows you to carry Burley panniers, or any other panniers that are compatible with 10mm rails. 10mm aluminum bar allows for use with many different panniers. Low-profile rack is easy to install. Max combined load of 6.8kg.